Varicose veins are some of the most unsightly conditions to happen to the skin, and closely related are what are called spider veins. Although generally harmless, these two conditions can be rather bothersome and sometimes embarrassing. This comparison article goes into more detail about these two conditions. Varicose veins are the result of a condition that is a more serious symptom of venous reflux disease. In some patients, the veins can protrude several millimeters above the surface of the skin, and they may take on a knotted or tangled appearance. Such cases may also be accompanied by pain, a throbbing or burning feeling, and cramps. 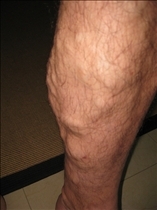 In more extreme cases, varicose veins can even lead to leg ulcers, blood clots and even more serious health problems. Spider veins are related to varicose veins, and they are characterized by thin veins on the surface of the skin, which may take on a bluish or reddish hue. 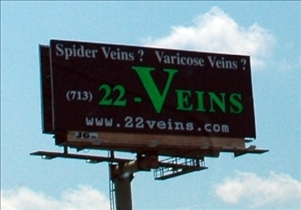 Spider veins are most often harmless, and they are often considered cosmetic more than health related issues. Varicose veins and spider veins are both conditions that are signs of an underlying case of venous insufficiency, which refers to the inability of veins to course blood towards the heart. These veins then become engorged with the blood that would otherwise normally circulate throughout the body, but instead accumulates in the legs. The issue of whether or not varicose veins and spider veins have to be treated has been the subject of contention for thousands of years. Even the ancient Greek philosopher Hippocrates wrote about the condition in 5 B.C. Nowadays, both conditions are considered primarily cosmetic in nature, and the decision to go for treatment is often a matter of vanity more than medical necessity. If you do decide to go for varicose vein or spider vein treatment, keep in mind that because of its non-health threatening status, such procedures will not be covered by health insurance or Medicare. If you do experience symptoms such as pain, swelling, discomfort or any other bothersome symptoms that affect your ability to work however, you may seek Medicare approval by first undergoing an examination in which the necessity of treatment will be determined. If your doctor determines that your condition affects your ability to function adversely and he subsequently recommends treatment, the costs will likely be covered by your health insurance and/or Medicare. Which unsightly veins hurt more?